A Tangent (from the Psalms)! Though my hope for this year is to study half of the Psalms, I’m also attempting to read the Bible through chronologically. I know reading should only take about 3-5 minutes per chapter, but things just capture my attention, and after that butterfly I follow. All that to say…I may digress from time to time to jot down a few thoughts about the “reading” that I’ve done in the one-year-reading plan! In Genesis 12, the Lord told Abram to get up and get moving…and that he did! Abram came to the place of Shechem (12:6). Historically, Biblically, Shechem was a place of decision-making (around the area of Mt. Gerezim and Mt. Ebal). 1) Who Will I Obey? In Joshua 18 we have Joshua laying before seven of the tribes the choice of whether they were going to obey the Lord and claim their possessions, or if they were just going to forfeit it to their old tapes, er, I mean, their enemies. Just because it “has always been that way. I don’t know any differently, etc.” Was that going to stop them from obeying the Lord and fighting for the Lord’s portion prepared just for them? 2) Who Will I Serve? Choose for yourselves this day whom you will serve. 3) Who Will I Worship? What?! 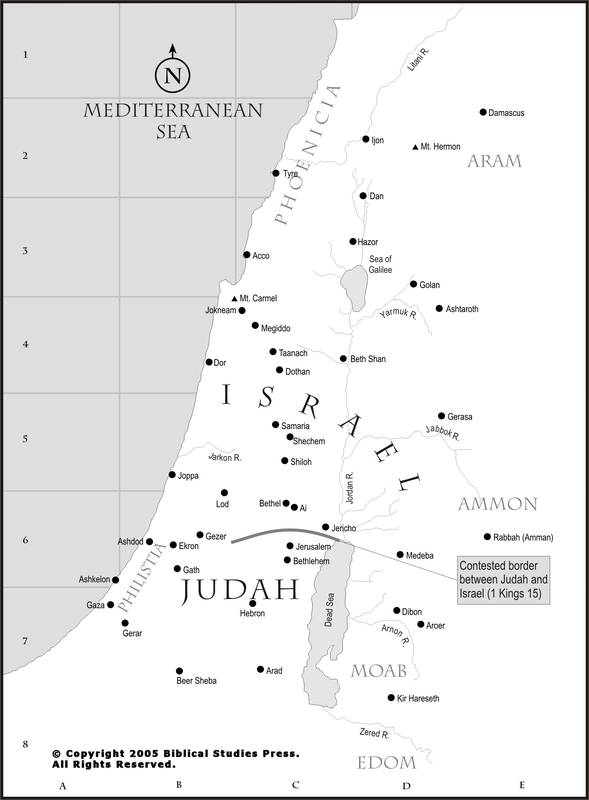 What Jews “needs must” go anywhere near the hill country of Samaria? But here we see the Lord leading a woman of the town to a decision at noon day as to who she will worship. She choose wisely! This decade, I want to choose wisely! Let this month of January be for me my own little Shechem, my own little valley of decision-making, my opportunity to resolve with the 7 tribes, the Israelites and Joshua, and the woman at the well, to obey, serve and worship the Lord whole heartedly! All that for the 12:6, the first of Abram’s many hometowns, Shechem. You can see why I couldn’t quite fit this onto Facebook’s 420 character status update! The next place we see Abraham moving to is called the Saddle of Benjamin, between Bethel (House of God) and Ai (Pile of Rubble). (Genesis 12:8) I can’t tell you the number of times I feel like I am between those two places in my own life! And reading it just now, it doesn’t look like that hard of a choice. Will I spend time in the House of God or in a Pile of Rubble? Will I invest in adding on to the House of God or adding to a Heap of Ruins? 1) He underestimated the enemy. I need to be equipped daily against the enemy of sin, temptation, and the tempter. I need the sword of the Lord (His Word). I need to take up the power of prayer that is directed to the Lord. I need the fellowship and presence of other followers of Jesus Christ. 2) The people were divided. Either they were comfortable with their spiritual life, and they already knew it all, that they could answer for God. Forge His signature, as it were. O may we never learn to live unblessed and get comfortable with second best. Achan chose the rubble of gold rather than the obedience to God! Mamre means Fruitful and Hebron means Fellowship. They almost always go together. that we are who we truly are when we are by ourselves. I despise that pithy statement. I mean, was God mistaken when He declared “It is not good for (wo)man to be alone”? Or was the wisest man of all the earth jesting when he said, “Two is better than one, and three is even better”? Or was Jesus’ promise of a peculiarly special presence for when two or three people are gathered together in His name, just syrupy Hallmark words? No, I am who I truly am, when I am with other followers of Christ, other sojourners on the pathway of Truth. I need Hebron if I want to be the least bit Mamre in my life! I’m so thankful to God for encouragers along life’s journey! Lord Jesus, I choose You! O come Holy Spirit. Amen.